Einar Olsen was born in Oslo, Norway in 1899. He spent many years working on whaling and commercial freighting ships before moving to Canada with his family at the age of 28. His fishing career began in Kenora’s Lake of the Woods around 1930, before he spent time in Shoal Lake and Sydney Lake. He came to Red Lake in the late 1930s and fished with Gus Forslin. Olsen, Forslin, and Donald Cameron formed a commercial fishing operation on Trout Lake on January 7, 1939. ​He was able to make a living fishing, often able to hire two local people to work for him. Olsen’s commercial season normally started in early May when the ice melted and went until the lake froze over. While he mostly caught walleye, whitefish, trout, and northern pike, the market had sway in what was caught. For example, around the time of Jewish holidays a lot of whitefish were caught and sent to Chicago. He sold his fish to the markets in Red Lake and Shoal Lake. Some of the fish was sent over the border but what did not was sold in Ontario markets. Olsen stopped commercial fishing in 1973. 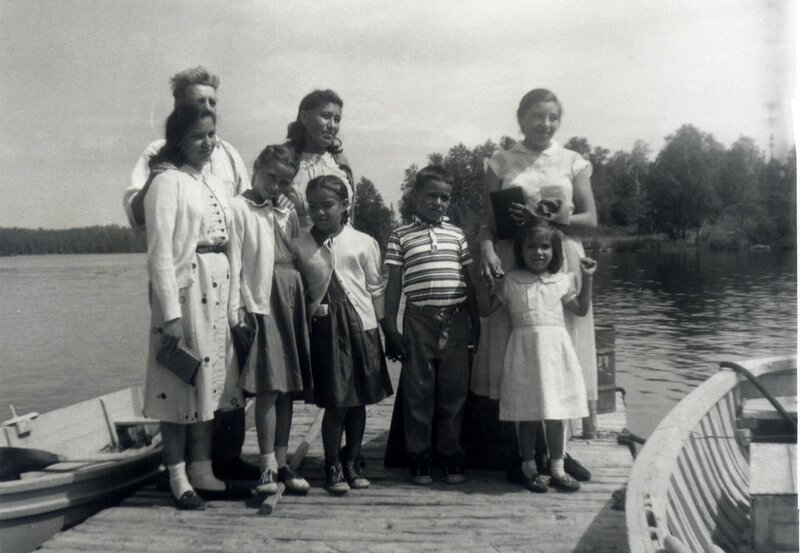 The license for Trout Lake was taken over by the Green family and eventually purchased by the Ministry of Natural Resources and commercial fishing on the lake was eventually phased out. ​George Green arrived in Red Lake in 1947 and quickly set up a commercial fishing operation. Green’s Fisheries opened in 1948 and George used his family’s commercial fishing experience on Manitoulin Island to turn the business into a quick success. While other businesses had licenses for one or two lakes in the area, Green’s obtained licenses for a large number of lakes, at one time holding 47 different fishing licenses. During the first years of the operation, he would use other aircraft operators to move the fish but realized the benefits of having his own plane to haul the fish. He purchased a Stinson SR-9 Gullwing and began to haul his fish as well as other commercial fishing operators’ fish and passengers. 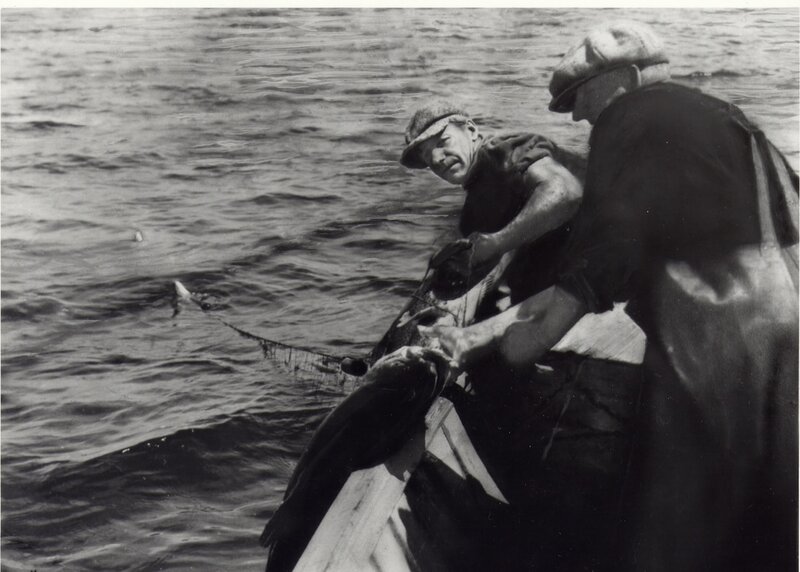 However, as the Greens continued to purchase planes and expand their fishing camps, commercial fishing became less of the focus of the business. Many of the lakes that the Green’s family held licenses for have since become camps for the current Jack Green’s Fly-In Camps and Bob Green’s Fishing Camps, such as Birch Lake and Mamakwash Lake. The McDowell Lake First Nation operated a commercial fishing venture on McDowell Lake. They still maintain the commercial license and the ice-house for holding the fish. The operation was active during the Second World War and continued until an outbreak of pests affected the walleye population. A biologist determined that the outbreak was part of the increase in beaver population. The pest problem ended when the beaver population was reduced due to trapping. To replace the loss of the commercial fishing business, brothers Eli and Albert James have started a tourist camp on McDowell Lake, with two locations each with two cabins. Thanks to the abundance of beautiful lakes in the area, Red Lake is home to some of the best fishing in Canada. Many have used these lakes to run commercial fishing operations. 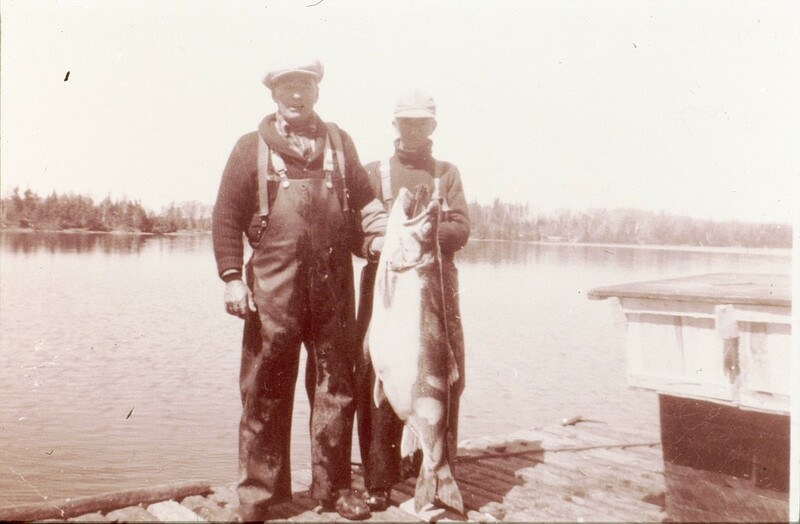 Gus Forslin was one of the first people to fish commercially in Red Lake. Born in Sweden, he moved to Red Lake from Kenora in the late 1930s, where he had first begun his fishing career. He fished commercially in Trout Lake for many years, teaming up with Einar Olsen and Donald Cameron. While Forslin was able to make a living fishing in the summers on Trout Lake, during the winters he stayed in Red Lake and drove a taxi for McLeod’s Transportation. He fished in Trout Lake until the cabin that he was living in burned down. After he moved to Red Lake full time, he obtained a commercial fishing license. His fishing camp was built on one of the Fisher Islands and still stands today, although the main cabin has sunk into the ground with only the roof visible. Forslin was well known for the trail of seagulls that would follow him for the fish guts he throw off the boat. He caught mostly whitefish, walleye, trout, and occasionally northern pike. People would often find him while he was fishing and buy fresh catches from him right on the lake. Forslin sold some of his catches to the mines, for example the Madsen Red Lake Gold Mine bought fifty pounds of whitefish at 10 cents a pound from him on February 25, 1938. Fish that weren’t sold to individuals of the mines went to the fish markets. 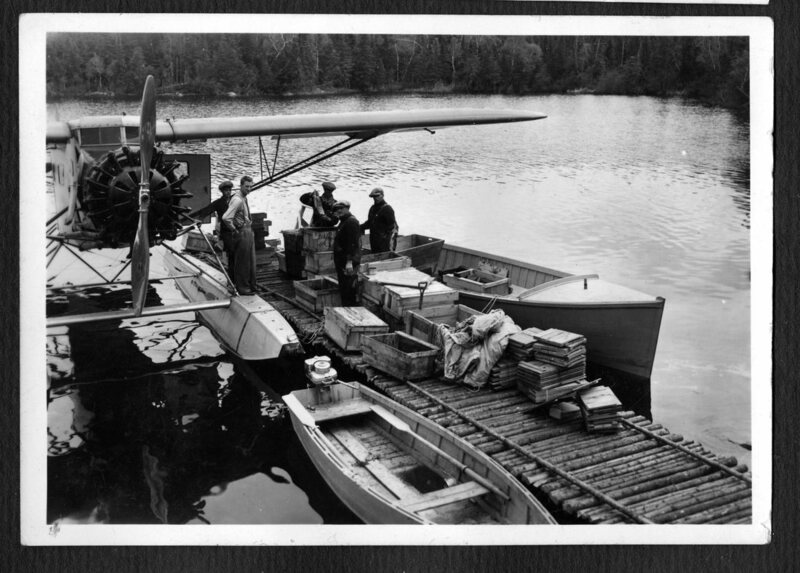 Fish were shipped to Kenora to the Lake of the Woods Fishery and high quality fish were sent across the border when there was demand. After retiring, Forslin moved into the Red Lake town site, where he stayed for the rest of his life. There have been a few separate fish processing plants in Red Lake over the years. One was located behind Green’s Airways and was the distribution centre for fish flown in by their aircrafts to be sent to markets. Another plant was located on Young Street. The Freshwater Fish Marketing Board ran an ice-packing plant in the summer, however it faced criticism that it was too small and did not understand the problems faced by fishermen. The Marketing Board was created in 1969 and still operates as a self-sustaining federal Crown corporation that acts as the buyer, processor, and marketer of freshwater fish from several provinces including parts of Northwestern Ontario. The summer ice-packing plant operated for a few years in the 1970s. Ontario Central Airlines ran an ice packing and filleting plant in the late 1950s and in 1962 opened a freezing section. The plant offered filleting and packing in flaked ice from a machine with a capacity for two tons per day and also provided space for hanging and dressing services for big game, all of which was available to commercial fishermen. The plant served the Indian Affairs department as a shipping outlet for fish caught in the region from over the 50 lakes surrounding Red Lake. While commercial fishing operations are not as active as they once were, the lakes in Red Lake still offer plenty of amazing fishing experiences.